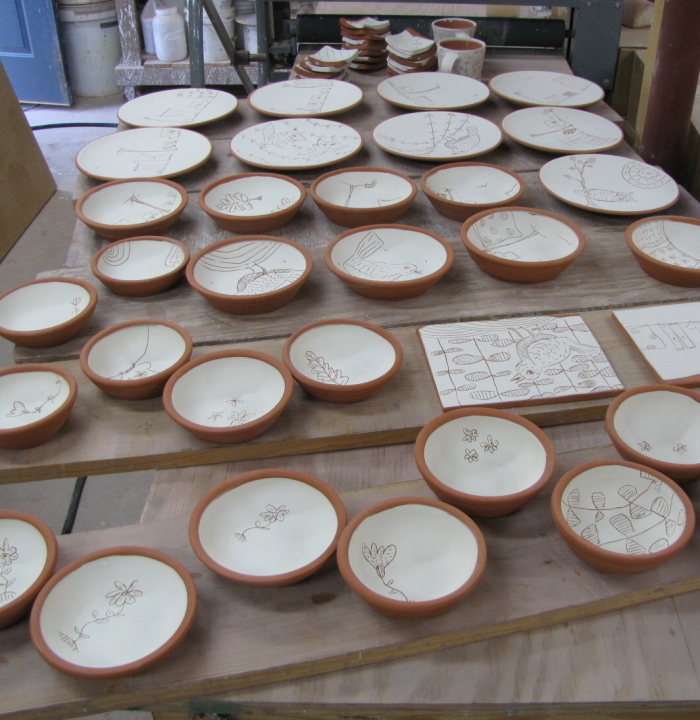 I made lots of smallish pots last week. Today they all have to get glazed! I had fun decorating all these pots. I came up with a few new ideas that I'll continue to explore.